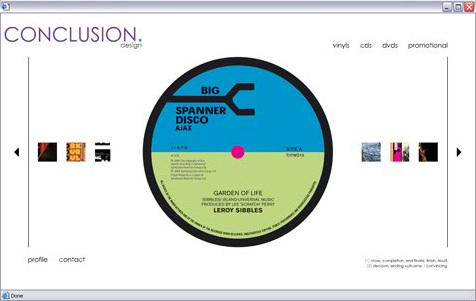 A print design agency specialising in sleeve design. 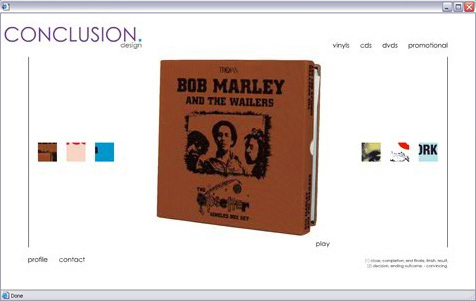 Clean design with uniform appearance throughout, showcasing record and CD sleeve designs using a simple sideways scroller. 360° product photography to highlight key pieces.